Today’s blog post is a special one because we will be presenting our first ever, “Athlete of the Month”. This athlete has been with us since Day 1, and we have seen this athlete put in work in and out of the box. Our Athlete of the Month is Benet Verzosa. 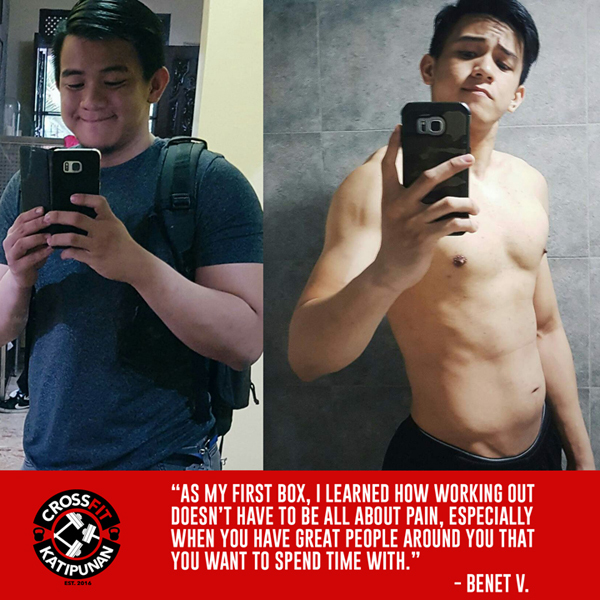 We sat down with Benet to know more about him, and how he got in shape. 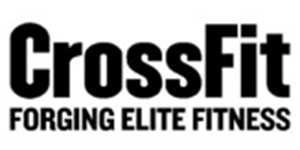 How did you learn about CrossFit? I had several friends and a cousin who’d been doing Crossfit for many months/years. 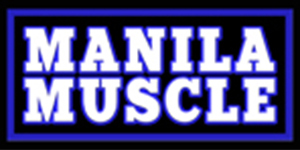 What was your fitness background prior to joining CrossFit Katipunan? I used to do strictly powerlifting routines in a gym and then switched over to trying to build lean mass. What were your hobbies? What do you do outside of CrossFit? I’m actually quite a nerd. I spend a lot of time reading academic articles about several topics I find interesting – from social theory to life sciences and medicine. As for what I do, I’m headed to med school in August. 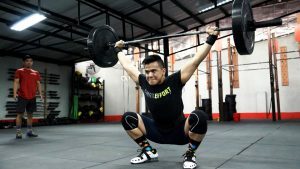 How long have you been a member of CrossFit Katipunan, and why did you join? What’s your fitness goal? Since the box opened. Which was I think September 2016. I finally got convinced by my friends and cousin. Haha. To be perfectly honest, I didn’t really enter CrossFit with clear goals in mind. I just wanted to work out and make new friends. Eventually, I settled on using my body as a lab for the research I’ve done on diets to lose weight and maintain/build muscle. What did you do to achieve those fitness goals? Ate carbs only after working out because supposedly this is the time when your muscles are most receptive to insulin, which activates protein synthesis. Maintained a caloric deficit and ate when I was hungry, but always with lots of servings of vegetables for fiber and protein for building/maintaining my body. 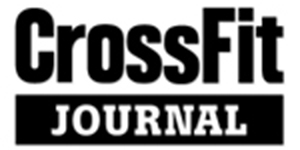 The willpower regarding working out probably wasn’t a big thing as I found CrossFit immensely fun and I was motivated to see my friends during WODs. What type of diet are you on? How long have you been on it? What’s allowed and what’s not allowed in your meals? Low carbs and only after meals. No carbs on rest days. Around 10 months. Avoid simple carbohydrates (i.e. sugar) unless you want diabetes and hunger pangs. Avoid saturated fats and especially transfats (tip: always check labels and see if there is anything there “partially hydrogenated” stay away!! Unless you want to die of heart disease). Always eat protein and when tempted to eat carbs, eat veggies instead. Did you notice any pros and cons with your diet? Naturally the low amount of carbs initially affected my cognitive resources, but my body got used to it after awhile. Did you ever cheat with your diet? Of course! But the worst thing you can do is to beat yourself up for it. How do you balance your time, for your studies, your work-out, and your meal prep? Have you ever felt like quitting in the middle of all these things that you were doing? How did you overcome all the negativity? I suppose I did, but eventually everything just became a habit. I took breaks from workout as I needed when I had important stuff at school. I think the secret is really to be willing to first experience and only to let go of all the negativity. I’ve learned that the more you resist the things you don’t like about what your brain tells you, the louder they get. So let them shout. You don’t need to believe in all your thoughts. Have you added a new goal now that you have achieved one of it? If so, What is it? Now that I’ve lost a significant amount of weight, I think I’ll need to work on my metcon. A number of my boxmates are amazing at it and I’ve always wanted to have better cardiovascular health. How does it feel losing so much weight and seeing your new self now? What tips can you share to your boxmates? I could say that I’m a lot more confident now, but I don’t really want to play the game of body shaming anyone. As far as I’m concerned, as a future doctor, what’s really important is maintaining a healthy amount of bodyfat and generally keeping healthy. A nice mindset to have, instead of shame about how one’s body looks, is to recognize that you can think of working out as a gift to yourself and a body that will be with you for the rest of your life. There’s numerous benefits to it, and not just on a physiological level, but psychological too. Rewards are more motivating than fears or punishments. Last question, what’s your least favorite movement so far? 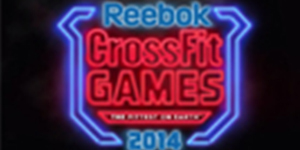 I’m torn between thrusters and burpees. They crush my lungs faster than anything else. Thanks for sharing Benet. For our followers, watch out for the next CFK Athlete of the Month and see how they made their transformation to a healthier mind and body.